How will we solve the pervasive problems of our modern era, from climate change to food shortages? 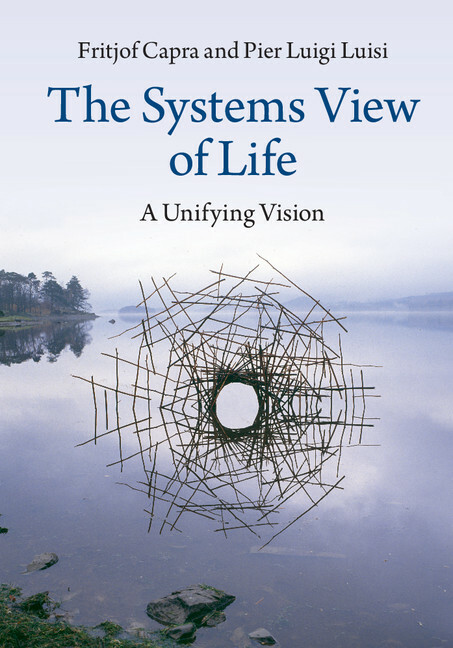 Fritjof Capra and Pier Luigi Luisi explain the secrets behind a connected vision of the world at the heart of their new book, The Systems View of Life, and the possibilities it offers for understanding some of our most critical challenges. We have discovered that the material world, ultimately, is a network of inseparable patterns of relationships; that the planet as a whole is a living, self-regulating system. As the twenty-first century unfolds, a new scientific conception of life is emerging. It is a unified view that integrates, for the first time, life’s biological, cognitive, social and ecological dimensions. At the forefront of contemporary science, the universe is no longer seen as a machine composed of elementary building blocks. We have discovered that the material world, ultimately, is a network of inseparable patterns of relationships; that the planet as a whole is a living, self-regulating system. The view of the human body as a machine and of the mind as a separate entity is being replaced by one that sees not only the brain, but also the immune system, the bodily tissues, and even each cell as a living, cognitive system. Evolution is no longer seen as a competitive struggle for existence, but rather as a cooperative dance in which creativity and the constant emergence of novelty are the driving forces. And with the new emphasis on complexity, networks, and patterns of organization, a new science of qualities is slowly emerging. This new science encompasses many concepts and ideas that are being developed by outstanding researchers and their teams around the world. In our book, The Systems View of Life, we integrate these ideas into a single coherent framework. We call it “the systems view of life” because it involves a new kind of thinking — thinking in terms of relationships, patterns, and context. In science, this way of thinking is known as “systems thinking,” or “systemic thinking.” It is inherently multidisciplinary, and thus helps to overcome the fragmentation that is characteristic of our academic disciplines. Understanding this holistic, systemic thinking requires a broad sweep through the history of ideas and across scientific disciplines. Beginning with the Renaissance and the Scientific Revolution, our historical account includes the evolution of Cartesian mechanism from the seventeenth to the twentieth century, the rise of systems thinking, the development of complexity theory, recent discoveries at the forefront of biology, the emergence of the systemic conception of life at the turn of this century, and its economic, ecological, political, and spiritual implications. We believe that it will be critical for present and future generations of young researchers and graduate students to understand the new systemic conception of life and its implications for a broad range of professions — from the life sciences to economics, management, politics, medicine, and law. To give just a few examples: there is now a systems view of evolution, which sees evolution not merely as resulting from random mutations and natural selection, but as an inherent characteristic of the self-organization of life — a process that is complex, highly ordered, and ultimately cognitive. Similarly, the systems view of health views getting sick and healing as part of the organism’s self-organization in both the physical and cognitive domains, which implies a radical redefinition of “psychosomatic.” In management, the systemic understanding of a business organization in terms of its living networks, or “communities of practice,” implies a new concept of leadership as the ability to facilitate the emergence of novelty. In the last part of our book, titled “Sustaining the Web of Life,” we identify the major problems of our time — energy, environment, climate change, inequality, etc. — as systemic problems, which means that they are all interconnected and interdependent. We highlight the importance of the systemic understanding of life for finding corresponding systemic solutions that will help us meet one of the great challenges of our time: to build and nurture sustainable communities. We then review a wide variety of such systemic solutions that already exist, involving agroecology, ecodesign, biomimicry, and much more; and we conclude that the systems view of life has given us the knowledge and the technologies to build a sustainable future. This is perhaps the primary reason why we believe that our book is so important for today’s students — the world leaders of tomorrow. Check out the book trailer for The Systems View of Life below.